Have you considered how critical search is to everything we do nowadays whether as consumers or professionals? As critical as it is, many businesses haven't thought through the implications and opportunities associated with organic keywords and how they help businesses get found online. 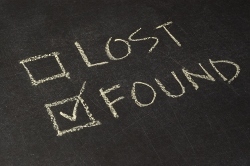 First, some basics about search and getting found online. When you type words related to your area of interest into a search engine (Google is my favorite), you'll notice results. If you're in search mode, you'll quickly scan the results on that page. You may check out one or several of the results until you find one you like, where the description matches up with some aspect of your search. You'll rarely go to the 2nd or 3rd page of results. If no results appeal to you, you may start a new search with more refined terms until you find what you need. Why should you care and why does all this matter? As a business person, you need to pay attention to organic search and how your company appears in search. Ideally, search results drive qualified traffic to your website - you know, the kind of traffic likely to become customers for your business. That's likely to happen if your website content answers the questions that prospects have about the problems you solve - especially if your website content uses the words they use to describe those problems - and if your website effectively communicates to search engines that you have what searchers are looking for. Include critical keywords in your URL. If a page describes how content marketing can help a business, be sure to include "content-marketing" in the address. Each page title should be unique and descriptive. Place important terms first, and your company name last if you even include it. Remember that your URL includes your company name, so don't squander resources! You have 70 characters available for your page title. Make sure that your meta description (that's the 150 characters snippet that appears in search results) relates to that page title and content. Photos should all include <alt> tags which help communicate the content of the photo (btw, make sure the photo relates to the content). Create remarkable content on each website page that readers will enjoy engaging with. 1. You've not taken care of the basics on your site and created unique and concise descriptions about your business for each web page. 2. You've not created distinctive content that answers the questions visitors and prospects have. 3. You've not thought carefully about who your customers are and the keywords they use to describe the problems they have when they search online. 4. You prefer to be all things to all people, have no points of differentiation from others and try to pursue every single organic keyword that comes to mind. Furthermore, no one visiting your site can tell what your business is about. Which means that even search engines come up empty about you. If you're serious about avoiding these organic keyword problems, go explore for yourself. Spend time searching with a variety of relevant keywords. See what comes up; see what is relevant to you. Think how you might incorporate more relevant keywords and topics so you have a chance to get found online. A few tools for you to consider: check out your own Google Analytics search results for current terms being used; explore Google Adwords for keyword ideas that might be relevant for future content. BTW - be aware that your own company name and products aren't ideal terms to focus on for organic keywords. Typically, people searching on those terms know you already. Ideally, you want to connect with customers who don't yet know about you, who are still figuring out what kinds of solutions are possible. Improving on page SEO (e.g., making sure each page had complete, accurate, unique and descriptive meta data) as well as more and better content on each web page. Deliberately creating blog content that developed category topics in an informative and thorough way rather than focusing only on brand centric content. 1. Think about your web visitors: what words do they use to search for the kinds of solutions your business offers? 2. Make sure all of your on-page SEO stuff (it's a technical term ;-)) is covered - page title, meta description, header tags, <alt> tags for your photos - and relates to your important search terms. 3. Review your website content from the perspective of a potential customer: is it informative and engaging? Do you have more than 300 words per page (how else can you tell a good story which can be found by search spiders and discovered by humans?). 4. Commit to blog content that answers questions customers have about the business solutions you offer. 5. Measure your results. Use Google Analytics or HubSpot or another tool to help you monitor your progress. How have organic keywords helped your business get found online? What contributed to your success? I'd love to hear.